As I noted in my review of Back to the Future Part II, I initially loathed that flick. Because I so adored the original movie, I excitedly took in II on its opening night, only to leave the theater actively perturbed by what I saw. Due to that experience, I felt much less excited when Back to the Future Part III hit screens in May 1990, a mere six months after the release of II. In fact, I didn’t even bother to see it for a good two or three weeks after its release, and even then I went only because I’d heard a few positive things about it. Happily, my initial encounter with Future III went much more smoothly than my viewing of II. While III didn’t quite restore the series to the highs of the first movie, it certainly did a lot to rectify the flaws I saw in II, and it provided what appeared to be a sweet and satisfying ending to the saga. In retrospect, I attacked II much too harshly, and I forgave too much in III. I guess I felt so relieved that III didn’t replicate the problems of II that I overlooked its flaws. More than a decade since I first saw both films, I still prefer III to II, but the gap seems much smaller than in the past. Note that by necessity, some of this synopsis will provide spoilers for the previous movies. If you haven’t seen those two and don’t want to know any of this, you’d better skip ahead right now! As was also the case with II, Back to the Future III literally starts with the ending of the prior flick. Wacky inventor “Doc” Brown (Christopher Lloyd) winds up in the Old West, but he ends up in trouble. Marty McFly (Michael J. 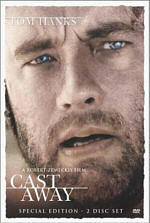 Fox) decides he needs to rescue his friend, so he leaves 1955 with the help of that era’s Doc and zooms back to 1885. It seems that Doc will soon be in danger, so Marty provides the necessary information to get him out of hot water. A dispute will develop between Doc and Buford “Mad Dog” Tannen (Thomas F. Wilson), an ancestor of our moronic friend Biff. While it seems simple for Doc to get out of town and avoid trouble, the situation conspires to keep him where he stands. One major element develops when Doc meets the new schoolmarm, Clara Clayton (Mary Steenburgen). The two instantly fall for each other, which creates a dilemma for Doc, as he plans to return to his own era. In addition, Doc and Marty need to figure out how anyone can head back to the future. Due to a rupture, the DeLorean runs out of gas and they have no other vehicle that can easily zoom to the requisite 88 miles per hour. III follows all of these issues and tosses in a few additional bits as well. As I noted, after my immense disappointment with II, I found III to offer a radically more satisfying adventure. It brought back the sweeter and lighter tone of the first flick and managed to seem somewhat different, even as it reprised many of the same elements. II felt like the work of people who tried too hard to bludgeon us with action, whereas III came across as more natural and relaxed. It also provided an actual ending, something absent from II’s cliffhanger. All of those points remain true, but my enthusiasm seems a little lower after more than a decade. I now see the positives of II more clearly, and the negatives of III also become more apparent. Mainly, a moderate sense of weariness enters the trilogy here. The first film enjoyed a terrific sense of spark and vivacity, while II steamrolled us with its own dark energy. III comes across as a little logy at times, as if all involved saw the end in sight and limped across the finish line. Fox seems especially drained here. To be sure, he still does a nice job as Marty, but the actor appears more than ready for the trilogy to finish and allow him to move on with his life. Since they shot III almost immediately after they finished filming II, I can understand Fox’s modest weariness, however. Even with this somewhat low-key tone, I still think III works pretty well, and it boasts one significant addition: the presence of Steenburgen. Always a refined and dignified actress, she brings great warmth and heart to Clara, and she helps add some spark to the proceedings. II offered no significant new characters not performed by actors previously established in the series; Fox and Wilson did all the key new roles. With Clara, III provides an important personality not seen in the prior movies, and she brings weight and sweetness to her performance. Without Steenburgen, III probably would have remained entertaining, but she helps make it more memorable. Despite a few weaknesses, Back to the Future Part III concludes the trilogy on a satisfying note. It wraps up the characters and scenarios in a smooth and rewarding manner, as it generally seems appropriately light and lively. It doesn’t better the first flick, but III nonetheless gives us a likeable and entertaining movie. 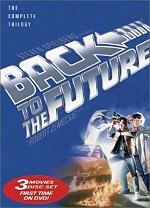 Back to the Future Part III appears in an aspect ratio of approximately 1.85:1 on this single-sided, dual-layered DVD; the image has been enhanced for 16X9 televisions. Visually, the filmmakers saved the best for last, as III presented the strongest picture of the set. Sharpness generally came across as tight and distinct. A few slightly soft shots occurred, but these didn’t pop up frequently or provide any significant concerns. The movie mostly looked well defined and accurate. As with the prior two flicks, jagged edges caused no issues, but I noticed some light shimmering at times. Edge enhancement seemed to present no problems, and the image appeared virtually free of print defects. Given the film’s earthy setting, III presented the most stable and natural palette of the trilogy. The colors consistently appeared distinctive and warm, and they demonstrated no signs of concerns like noise or bleeding. 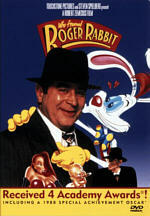 The movie featured more exteriors than either of the predecessor, which definitely helped make it the most satisfying in regard to color reproduction. Black levels were dark and tight, and shadow detail looked appropriately heavy but not overly dense. In the end, III offered a very clean and satisfying visual presentation. Wasn’t it nice of them to decide for us that we wouldn’t notice? Frankly, I didn’t detect a difference for the most part, though a couple of shots appeared more obvious than others; for example, when Doc helps Marty with the self-adjusting clothes in II, the image seemed cropped at the bottom of the frame. For what it’s worth, despite this condescending note, Universal apparently will correct the framing and will allow consumers to exchange their misframed DVDs when the fixed ones appear, probably some time in late February 2003. When we moved to the Dolby Digital 5.1 soundtrack of Back to the Future Part III, it seemed pretty similar to that of the prior two flicks. However, it erased some of the minor concerns I experienced with the first two movies’ audio and offered the strongest sound of the set. Much of the audio remained focused in the front channels, but the imaging spread nicely throughout the movie. Elements blended together cleanly and moved across the spectrum neatly and accurately. The surrounds consistently presented a good sense of environment and kicked into gear effectively during the louder scenes; they worked especially well during the movie’s train-based climax. Audio quality sounded better than ever here. Speech seemed natural and crisp, and I noticed no problems related to edginess or intelligibility. Happily, the mix also lost the weak dubbing heard in the first film. Music appeared bright and lively, as the score demonstrated nice clarity and good depth. Effects also came across as distinct and accurate, and they showed solid bass punch when appropriate. Compared to today’s movies, the audio of Back to the Future Part III was a little dated, but I felt the sound seemed quite positive for its era, and it continued to succeed 12 years after the fact. The final disc of the package, Back to the Future Part III includes a mix of supplements similar to those on the other platters. We start with an unusual form of audio commentary. Instead of a traditional screen-specific track, we hear a Q&A with Director Robert Zemeckis and Producer Bob Gale. This comes from a session at the University of Southern California, as DVD producer Laurent Bouzereau hosts a conversation with the filmmakers. By far the shortest of the three Q&As, this one lasts a mere 30 minutes, and it seems more lackluster than the other two. Not that Zemeckis and Gale don’t offer some useful information, as they cover a mix of good topics. They relate various facts about the production as well as their thoughts about the series as a whole and its legacy. The track seems too short to be tremendously notable, but it still gives us some nice facts about the third film. A second audio commentary provides a more standard format. This one involves producers Bob Gale and Neil Canton, both of whom sit together for a running, screen-specific piece. As with their tracks for the first two films, Gale heavily dominates this one; though Canton chimes in a little more frequently than in the past, I can’t imagine he talks more than five percent of the time here. As always, this track generally acts as a repository for information not heard elsewhere, so a lot of the information Gale covers falls into the “trivia” category. But that doesn’t mean the material fails to become involving and interesting, as Gale provides a nice traipse through the production. He gets into a myriad of different issues and lets us know many compelling factoids that add to our appreciation of the flick. For instance, we learn of one personality they tried to land for a cameo. As with prior commentaries, this one suffers from a few too many empty spaces, but it still seems engaging and useful. Called Did You Know That? Universal Animated Anecdotes provides our third commentary. A text affair, this one sporadically presents notes about the movie. These appear too infrequently, but they offer some decent information. We learn more about the supporting cast and small bits that otherwise might have eluded us. The “Anecdotes” don’t seem revelatory, but they add to the viewer’s enjoyment of the flick. For our first video-based supplement, we go back in time to 1990. A featurette from that period, The Making of Back to the Future Part III fills seven minutes and 30 seconds with movie clips, images from the set, and interviews. We receive remarks from director Robert Zemeckis, actors Michael J. Fox, Mary Steenburgen and Thomas F. Wilson, producer/writer Bob Gale, and producer Neil Canton. Although it shows too many film snippets, the program actually packs a fair amount of good information. It includes some nice behind the scenes images and gives us a quick but moderately useful glimpse of the production. Despite its brevity and promotional focus, the featurette still merits a look. Newly created, Making the Trilogy: Chapter Three takes 16 minutes and 18 seconds. As with the two prior chapters, it mostly shows film shots and interviews; we hear from Zemeckis, Gale, and Fox. Only approximately the first half of “Chapter Three” addresses the production of III, and it includes a cursory discussion of the hectic schedule caused by the almost-simultaneous creation of the two sequels. The second part of “Chapter Three” acts as something of a valedictory statement for the trilogy. We get comments on the films’ impact and success and what they meant to the participants. Added together, the three chapters of “Making the Trilogy” don’t offer a great look at the series, but they seem reasonably entertaining and informative. Next we find a single deleted scene that lasts 73 seconds. It features Buford Tannen and Marshal Strickland, and it definitely deserved to be cut, as it seems way too dark for this flick. You can watch the deleted scene with or without commentary from producer Bob Gale. He conveys the reason for the omission. Additional unused footage appears in the Outtakes area, which runs 95 seconds. I usually don’t care for gag reels, but this one tosses in some fairly funny stuff. It’s not quite up to the standards of the first DVD’s amusing outtakes section, but it beats the tepid material found on II. After this we locate two short featurettes. Designing the Town of Hill Valley lasts only 68 seconds as Bob Gale chats about the evolution of the location. He covers the basics of the set but doesn’t give us enough specifics to make this a very useful piece. Designing the Campaign also features Gale, and he goes through the different advertising concepts for all three movies, with an emphasis on the first one. The images of the rejected posters are cool to see, but otherwise, this featurette seems pretty insubstantial. The “Production Archive” breaks into four smaller domains. Marty McFly Photo Album includes fairly bland 33 photos of the cast. Behind-The-Scenes Photographs adds another 19 shots, most of which include Robert Zemeckis; they come across as fairly uninteresting. The 14 stills in Production Designs appear more useful, as the detail the train and some other elements of III. Lastly, The Trilogy: Poster Concepts features 25 pieces of art. These offer easily the best parts of the “Archive”, especially since we even get to see an ad for Jaws 19. Music videos for songs from films usually blow, and the clip for ZZ Top’s Doubleback doesn’t alter that impression. It integrates the Top into shots from the movie – or the other way around – and it does so really crudely. The song’s nothing special, and the video seems cheap and dull. The longest single video program on any of the three DVDs, The Secrets of the Back to the Future Trilogy runs 20 minutes and 39 seconds. Hosted by Kirk Cameron (! ), this program apparently was created to promote III. It features questions about various issues, and we see lots of shots from the set to depict some of the “secrets”. These include the effects that brought the hoverboards to life, the physical strains of the shoot, and the creation of the train scene from III. We also hear short interview snippets from Zemeckis, Fox, Thomas F. Wilson, Steenburgen, Neil Canton, Gale, visual effects supervisor Ken Ralston, and supervising model maker Steve Gawley. Much of the material appears elsewhere, and the program seems too puffy and promotional to offer anything terribly worthwhile, but at least the behind the scenes images provide some good pieces. For some text information, we go to FAQs About the Trilogy. 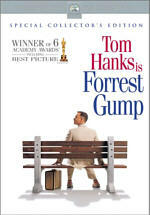 Composed by Bob Gale and Robert Zemeckis, this question and answer series goes through a lot of interesting issues related to the series. Most of them deal with time paradox concerns, and the Bobs reply openly and amusingly to the problems in this fun extra. Some of this repeats information found in “Secrets” and elsewhere, but the “FAQ” offers a reasonable amount of new material. A few smaller pieces round out the disc. We find the film’s theatrical trailer as well as an ad for Universal Theme Parks. Cast & Filmmakers provides short biographies of actors Fox, Christopher Lloyd, Mary Steenburgen, Lea Thompson, and Thomas F. Wilson plus director Zemeckis, producers Bob Gale and Neil Canton, and executive producers Steven Spielberg, Kathleen Kennedy, and Frank Marshall. Some decent text production notes finish the set, and the package’s booklet offers general remarks about the trilogy along with details about the three DVDs. For those with DVD-ROM drives, however, we find a little more material. III lacks the highlight of the Back to the Future DVD-ROM, which offered the film’s original script. Instead, II simply includes a few links. We get a connection to the same “Total Axess” site found on the first two flicks’ DVDs as well as connections to Universal Pictures, Universal Home Video, Universal Theme Parks, and Universal Studios. One nice touch: almost all of the video extras include subtitles. These provide text in English, Spanish and French. A couple of bits lack this information, but most of them get the subtitle treatment, which I appreciate. A warm and satisfying conclusion to the trilogy, Back to the Future Part III seems like a solid film. It falters at times, but it usually maintains a nice sense of heart and spirit, and it ends matters smoothly. The DVD presents consistently excellent picture and sound that seem like the best of the three discs. The movie’s supplements appear to be the weakest of the trilogy’s flicks, but they still offer some good materials. Back to the Future Part III offers a charming and entertaining film that merits my recommendation. Note: This film can be purchased only as part of Back to the Future: The Complete Trilogy, a three-DVD boxed set that also includes the first two flicks. While it’s certainly possible that Universal may eventually issue the titles on their own, as of December 2002, they only come as a package deal. I like all three flicks, so I felt happy to pick up the boxed set, especially since it lists for less than $57; a retail price of $19 per movie makes them a serious bargain. Heck, it’s still a good deal for anyone who likes two of the three, as they still would go for $28.50 each. However, I can understand why folks who only enjoy one of the films would feel unhappy with this edition. Personally, I’d pay the whole tab just to own Back to the Future, as it remains one of my all-time favorite films. Nonetheless, that’s a lot to shell out for only one flick. For those who fall into the “I only like one of them” category, I wish I could hold out hope that you’ll eventually see the flicks released separately, but honestly, I don’t expect it’ll happen. I think the Complete Trilogy will remain the only way to get any of the Back to the Future films on DVD, though I hope I’m mistaken.